My father’s writing and illustrations inspired me to pursue drawing and writing in my youth. Later I briefly pursued art in college. 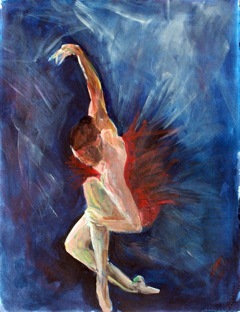 But mostly I loved dance, and that passion made its way into my current paintings. I find dance or movement in almost all my subjects. 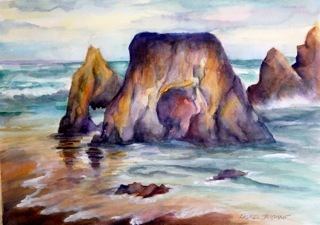 And watermedia seems the best for rendering that fluidity and feeling. I love learning about painting, and have studied with extraordinary and accomplished instructors. These include: Nicholas Simmons, Mike Bailey, Jim Smythe, Stephen Quiller, Ursula O’Farrell, John Salminen, and Lian Zhen. My art critique group continues to be a wonderful education as well.